Peter Of Belle Vue, Shrewsbury. Died on January 25, 2019. Peter will be sadly missed by all his loving Family and Friends. 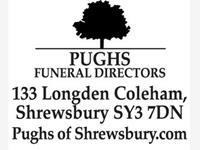 Funeral Service to take place at Emstrey Crematorium, Shrewsbury on Wednesday, February 13, at 10.45am. 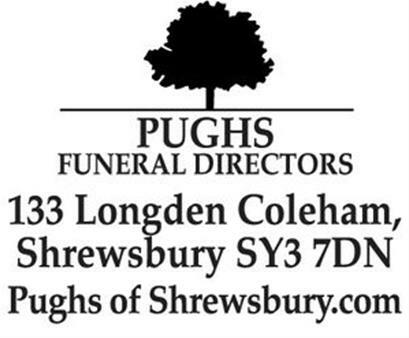 No flowers by request but donations if wished to the Severn Hospice.